If you are discussing the issue of moving house with friends and family, you will be subjected to all kinds of opinions. The fact is that practically everybody is an expert and they all want to push their smart ideas onto you. This is not necessarily a bad thing, but you need to sort out this well-meaning advice into what works for you, and what doesn’t. Yes, you need a plan, well thought through and practical. Moving home is no different to a military operation and it needs to be planned accordingly. Each step should be noted, some of the steps can be carried on in parallel if you are not moving to far from your old home to your new home. If on the other hand you are moving abroad, or from the west coast to the east coast or vice versa you will need to carry out each part of your plan independently, only when the phase is complete, you can move to the next one. From the moment you moved into your existing home you will have started accumulating “stuff”, some of it you would immediately consider trash, but some things might cause you to think “Ah maybe I should take that with me”. All of the things that you decide you don’t want to keep, from old clothes, to furniture that will not fit, or are not suitable for your new home, could actually be saleable. You need to get ready for a garage sale. You could hold your own garage sale, or decide to hire a space at a garage sale market. You will need to box up what you want to sell and make sure you get to the venue early if you are going to a public sale. The reason for this is that the professional buyers will come to snap up bargains inside the first 90 minutes. Hold out for the prices you have in mind for your items on sale during this time as it has been proven to be the most profitable phase. Later you will find buyers for 2 saucers without tea cups and a set of three knives. Anyhow you can complete the sale and earn some money from things that you don’t want and would only have thrown away. Next it is time to get rid of the stuff nobody wants to buy, but one good tip is not to throw away your children’s old toys until you have got their go ahead. If you do you could risk serious family consequences, so be careful. 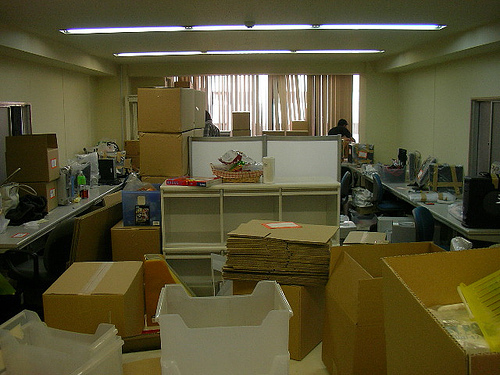 Once the clearing has been done now you can attend to your packing. If you have any doubts, just spend a moment talking to your hired moving company in Toronto as they can give you pertinent advice on packing. Old boxes or ones that are too weak can suddenly split at the sides or their bottoms can drop out spilling your precious contents. So before you start packing make sure you have good strong boxes on hand ready to get packing. The next thing that you need to attend to is that each box can be clearly labelled. Top removal companies help you by giving you big tick boxes to indicate where the contents have come from and therefore where they should go. Kitchen for kitchen, master bedroom for master bedroom, and so on. Next, you should indicate what contents are in the box; plates and crockery for the kitchen, ornaments for the living room and bedding for the master bedroom. By packing carefully, you can easily understand what is in each box which will have been delivered to exactly to the correct room thanks to your careful labelling. Moving in? Don’t rush it! Moving is stressful and there are many things that can go wrong. If you are having the house decorated or repairs being carried out make sure these are complete, or at least not likely to stop you moving in. If you are facing a delay and will need to put up at a nearby hotel, make sure that you can store your perishable foods and supplies. You simply need to make sure the fridge and freezer are working so that you can stow your supplies while you wait for your new home to be ready. Once you can move in and start unpacking, take it easy. Don’t exhaust yourself working from morning to nightfall frantically unpacking and installing your furniture and belongings. Be particularly attentive to your spouse or partner and don’t stress them by wanting to unpack too fast, equally if your partner is rushing, ask them to slow down and take it easy. Moving should never be done in haste but with a methodical rhythm, so that you make sure you get your move exactly right. By carrying out a methodical job, you will make sure every one of your possessions finds its rightful place while keeping the new house well organized and tidy. ←Preparing To Move Your Tropical Fish?